Home Education Do headaches occur with TMJ? Unfortunately most dentists and GPs have been trained to think that the only headaches that can occur as part of TMJ / TMD is temple headaches due to clenching. The Temporalis muscles (located in the temple regions) are recruited during clenching and so the assumption is that these are the only headaches that can be attributed to TMJ/ TMD. This however is far from true. TMJ/ TMD can also mimic sinus type headaches, particularly the maxillary sinuses (in the cheek area). They can also mimic tension type headaches affecting the temple and occipital regions ( back of head) and migraine. 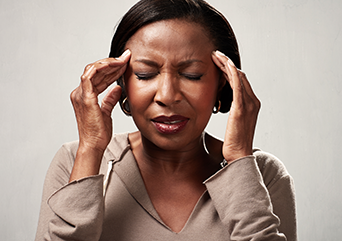 Population studies have shown TMJ/TMD is more common in those with chronic daily headaches, tension type headaches and migraine. * According to Dr Noshi Metha a leader in the treatment of craniofacial pain, up to 85% of headaches can be associated to muscular dysfunction that create trigger points and cause referred pain. A major cause of the muscular dysfunction can be TMJ/ TMD as well as cranial and cervical (neck) dysfunction. A study by former board members of the American Academy of Craniofacial Pain found occipital (back of head) headaches in 94% of subjects and temple headaches in 92% of their TMD patients. Furthermore in the same study demonstrated that treatment of TMJ/TMD lead to improvement in the occipital, frontal and temple headaches in nearly all patients . Regarding occipital headaches, following 3 months of treatment 66% of subjects reported complete elimination of the headaches and 33% reported improvement. The same study above showed that pain behind the eye is also improved with TMD treatment, showing elimination of pain in 68% of subjects and improvement in 30%. A randomised, double blind placebo controlled study ( therefore scientifically excellent) has shown that when it comes to this that suffer with Migraine and TMD, treatment of TMD using splints and medication together provided the best treatment outcome. It is well known that many migraine suffered also have signs of TMD. 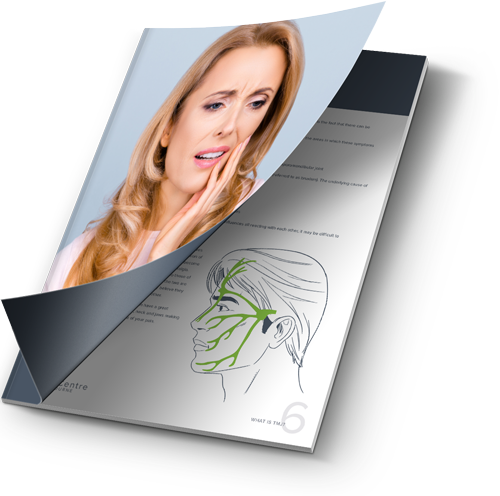 So if you have unexplained headaches, you should consider being assessed for TMJ/ TMD.